All eyes are drawn to the woman with sensuous lips, courtesy of the perfect red pout. But how to get that perfect pout? 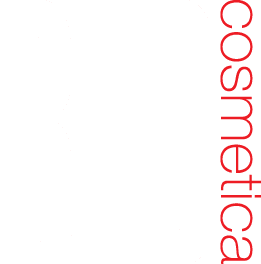 It’s easier than you think if you follow these tips … and apply them with a sumptuous shade of red lipstick by Red Cosmetica of course! All masterpieces require careful preparation of the canvas. Artful and expressive lips need preparing too. Start with smooth, clean and moisturized lips. Like facial skin, lips need to be regularly exfoliated with your fingertip and a scrub made from a little olive oil and sugar or gentle rubbing with your toothbrush or a soft cloth. Massage gently in a circular motion. The longer you massage (within reason – remember you’re exfoliating, not trying to remove your lips altogether) the more intense the exfoliation will be. Carefully applying a liner just outside your actual lip line instantly gives the appearance of plump, full and youthful lips. Note to self: never use a dark liner with light colors of lipstick. Using liner as a base color to fill in your lips is much the same as using a foundation for your face, in fact, your foundation also works brilliantly as a base for your lipstick! Doing this gives the lipstick a smooth base to stick to and helps to extend the wearability of the lip color. Starting at the middle peak of the upper lip, apply the lipstick gently, working towards the edge and then repeat for the other side. Repeat the same procedure for the bottom lip. Then blot your lips gently with a tissue and reapply. Keeping red smudges off your teeth is as simple as remembering to discreetly slip your index finger into your mouth, gently close your lips and pull the finger out very slowly. All the excess color will remain attach to your finger and not your teeth. A simple and discreet lick of the lips before sipping from a glass will help keep the beautiful color on your lips, instead of on your wine glass. Lastly, go for quality when choosing lipstick brands. Cheap lipsticks will always look cheap and never last long. Red Cosmetica on the other hand is all quality. Nourished with Vitamin E, all 21 sumptuous Red Cosmetica shades have been created to give you the most moisturised, long-lasting red lips possible, with a creamy velvet texture that makes your lips appear more youthful than ever.